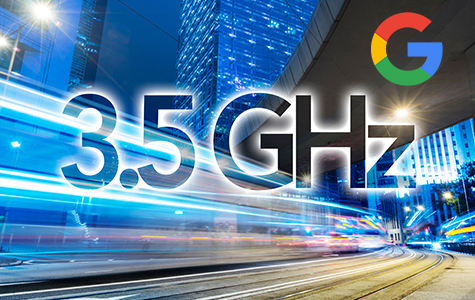 Given that the country’s Wireless Internet Service Providers (WISPs) already use the upper part of the 3.5 GHz band—namely the 3.65 GHz lightly licensed spectrum—it stands to reason that they’re likely to be among the first to use the Citizens Broadband Radio Services (CBRS) 3.5 GHz band. Most CBRS devices, called CBSDs, need to be installed by a Certified Professional Installer (CPI). Google’s CPI certification package (pending Training Program Administrator approval) includes everything needed to become a CPI and begin installing devices. The $599 offering includes online training via Coursera, an online proctored exam, digital certificate issuance and registration with WinnForum. On the network planning front, Google is introducing a network planning tool that will be available via a web browser. It’s designed to take some of the guesswork out of network planning, enabling its users to figure out where there’s a good signal and where the signal isn’t so good.